Admiral Markets Wins Foreign Forex Broker of the Year in Poland! 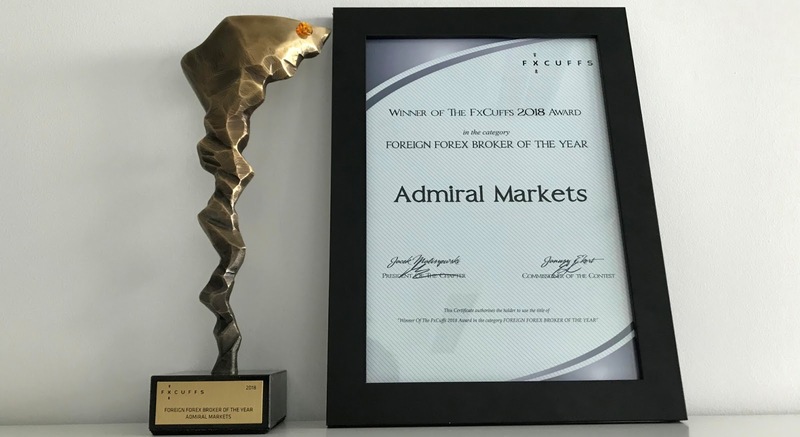 We're very excited to announce that Admiral Markets has been voted as the Foreign Forex Broker of the Year 2018 in Poland at the FxCuffs2018 conference and expo – the biggest investing gathering in East-Central Europe. This is the third award for Admiral Markets in this category, which highlights the quality of services and rewards the daily hard-work of our Polish team in their efforts to provide customer support and education at the highest level. "We're proud of this award, as it's a distinction awarded by both customers and Forex industry professionals. This acts as great motivation for further development, but also adds to the expectation as we attempt to raise the bar each year", stated Adam Narczewski, Director of Admiral Markets' Polish branch. Our product offering is a result of the requests and expectations of our customers, who keep us informed about their needs. We continue to develop thanks to you, our dear traders! This year's award is also thanks to you! "In such a competitive market, details matter, continues Adam Narczewski. They often confirm the final choice of the client. Our excellent trading conditions, low transaction costs, trading platforms and top-level education are just some of our many strengths. 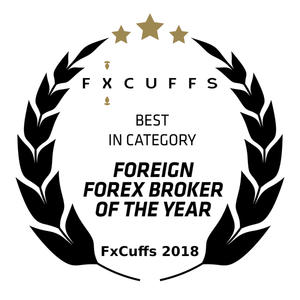 We're delighted that both clients and the FxCuffs2018 awarding body appreciate our offering by awarding us with such distinction". Check our trading conditions on a Live or Demo account and trade with the Best Foreign Forex Broker of the Year!